Want to make your weeknight cooking hustle-free? 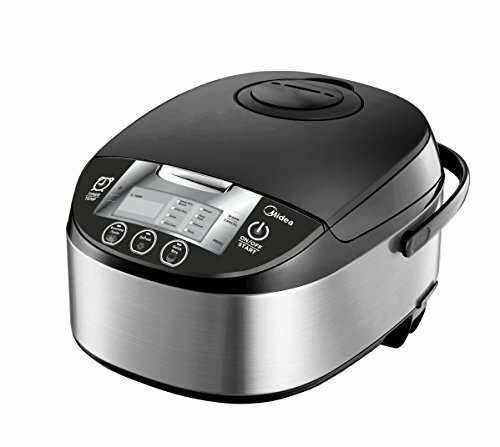 Turn on the Midea Tastemaker All-in-One multi-functional cooker. With 11 one-touch presets, this multi-functional cooker is not only good at cooking fluffy rice, but also good at slow cooking, sauté/browning, steaming, and so much more. Featuring the DEFROST function, this smart cooker could start with frozen meat, fish and vegetables right from the freezer without getting microwave oven involved. The cooking was beautifully programmed to preserve the nutrients in the dishes. The detachable steam vent, the inner cover, and the dish washer safe inner pot makes cleaning a breeze. If you have any questions about this product by MIDEA, contact us by completing and submitting the form below. If you are looking for a specif part number, please include it with your message.